The X-men have come to Misty Knight’s apartment only to find her roommate instead. She agrees to allow them to stay while Kitty and Storm get dressed to meet her parents. When Kitty later calls Storm has gone missing having left her in her parents care long ago. Later the X-men are altered to the hospital where Storm has showed up after being brought in. She was apparently attacked by a mugger who slashed her neck and she has suffered blood loss. She quickly leaps from the bed to return home with her friends while from the shadows eyes watch her every move. At the apartment the X-men put her to bed but she eventually lets Dracula in to feed on her since she is under his thrall. The next day when Kitty arrives she checks in on Storm who is sensitive to all kinds of light, grown pale, thin and sickly and also developed a nasty temper going so far as to strike Kitty when she tries to help her. She also now wears a tie around her neck with the emblem “D” on it which she says is from an admirer. The X-men are aware of the sudden shift in Storm. That Night Dracula comes for her but they get interrupted by Kitty who causes both Storm and Dracula to flee. 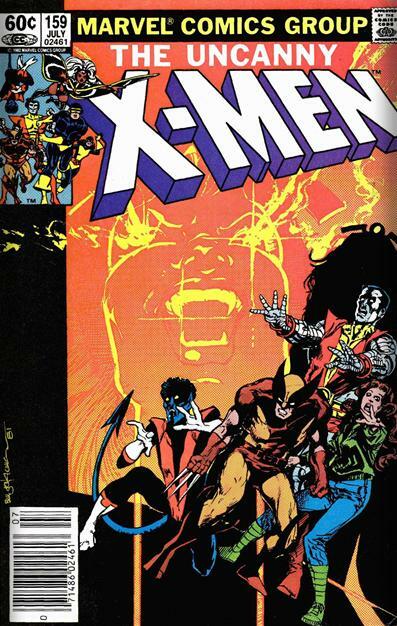 The X-men are alerted and they track Dracula to his castle where they do battle with him for the life of Storm. Kitty sneaks into the caste from the back only to get blindsided by Storm. Kitty offers herself to Storm as food. The x-men are defeated and Dracula welcomes his queen, Storm. Instead of joining the fest she turns on him and the two do battle. He tries to enthrall her again but she refuses to be bent to his will. He confesses he would have loved her to be his queen but won’t force her to do so. He departs and the x-men and storm return to Misty’s apartment. Cover- I love the Image! A wickedly vampiric Storm in mid evil laugh, ominously looming over her X-men teammates. Still a classic image and great cover! This issue had a great B-Movie script tied together with superheroics that was very entertaining to read. It was refreshing to see old school conventional vampire at play 🙂 afraid of religious artifacts, transforming into bats, commanding vermin and the seduction that ensues between the mate and the sire. It was a great trip down memory lane and a great Holloween issue to Boot!